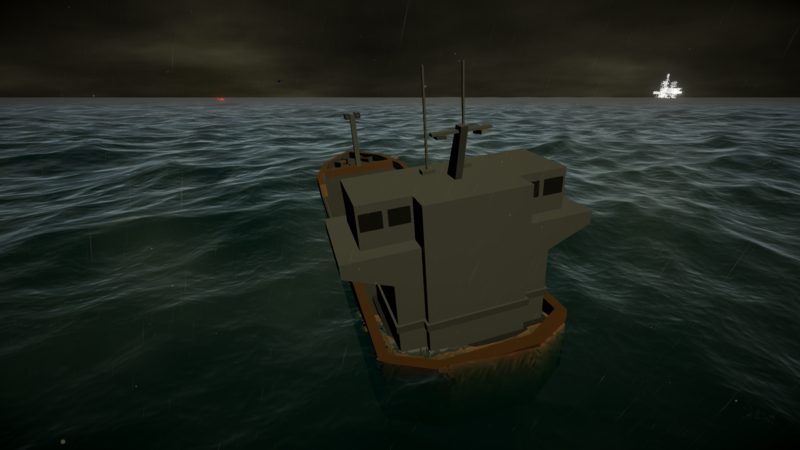 Fly a helicopter, swim the storm waters, and drive a massive ship! 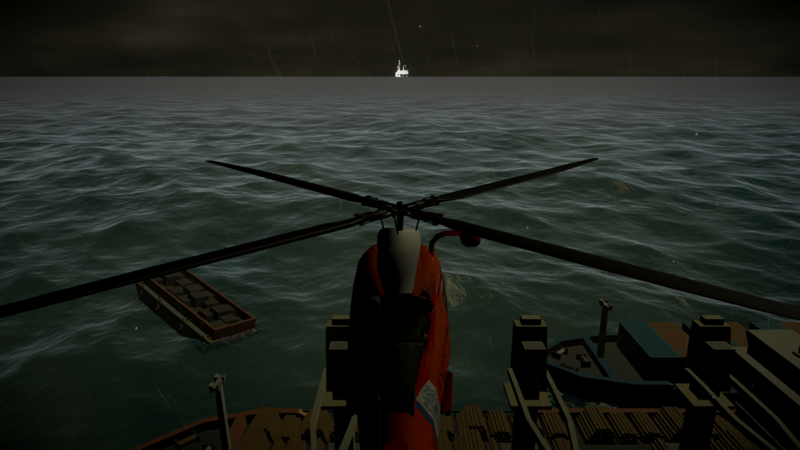 On January 19, 1995, Helicopter Flight 56 Charlie, nicknamed Cullen, disembarked from Aberdeen on its way to deliver a group of rig workers to their station aboard the oil platform at the Brae oilfield. 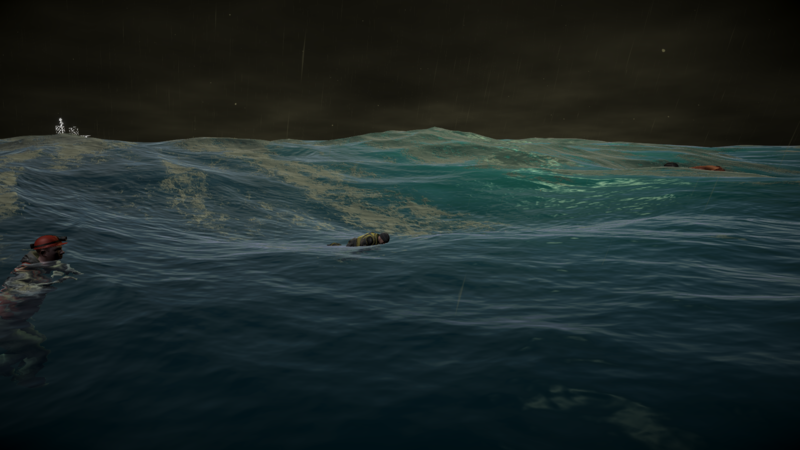 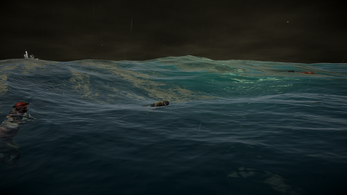 The routine trip, disrupted by a maelstrom of rain, hail, and lightning, did not go as planned. 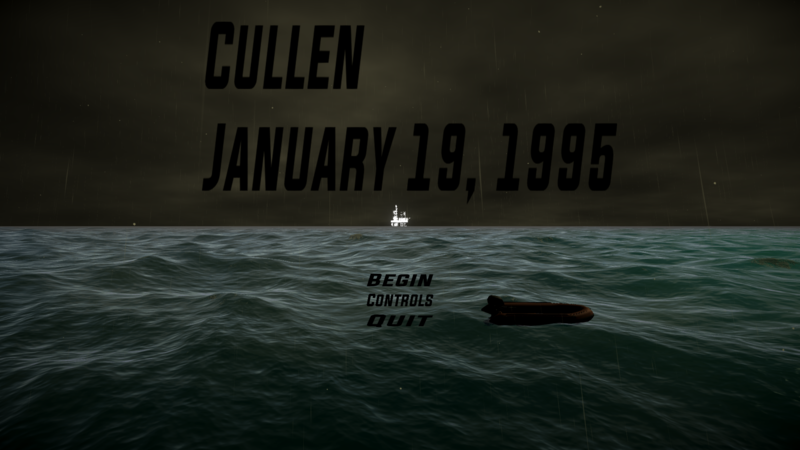 Cullen is my attempt at a documentary game (docu-game). 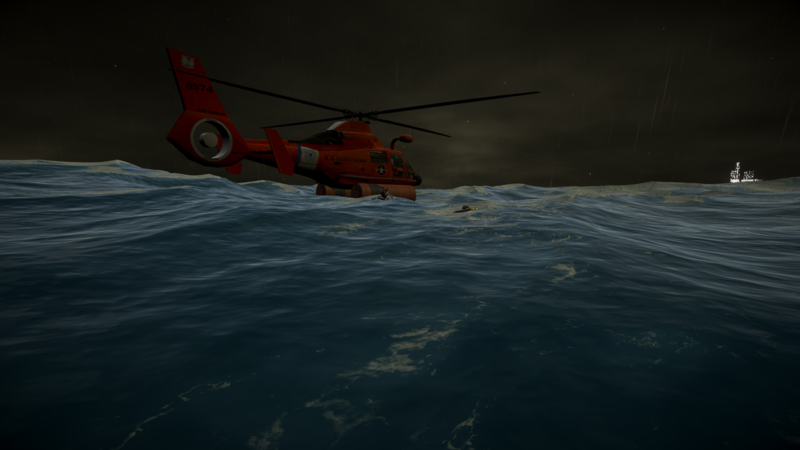 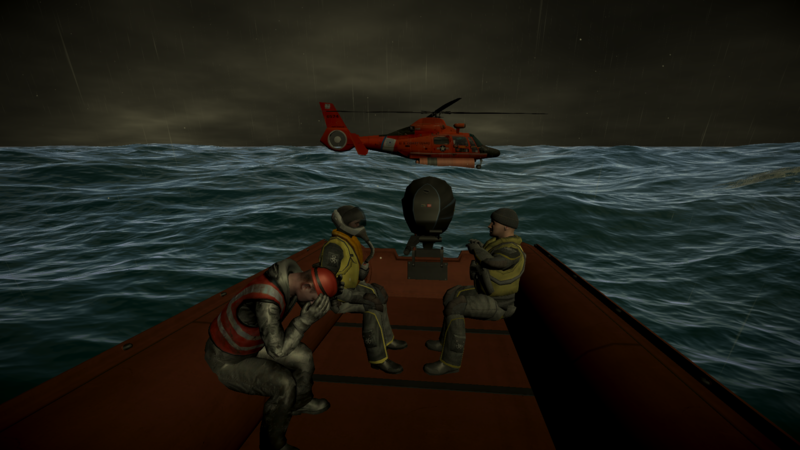 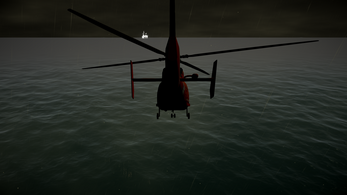 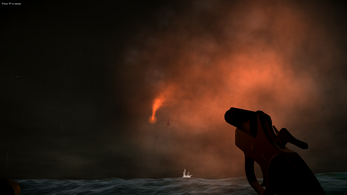 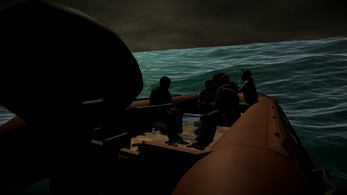 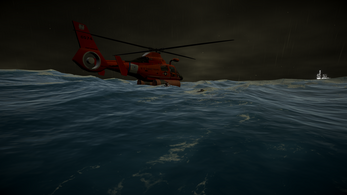 It makes use of dynamic camera angles, immersive vignettes, and interstitial narration in order to tell a very simple story: the disaster and rescue of the Bristow Helicopters Flight 56C in January of 1995. 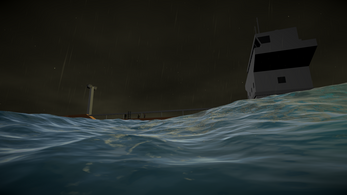 Cullen was initially made for a specific call for games, but I later realized I had broken many rules of the project for which it was designed. 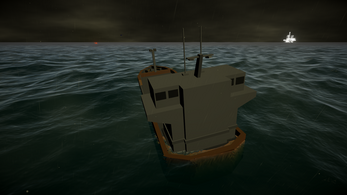 So, it exists now as its own thing.